You will receive 12x Giggle Life Baby Optimize Cloth Diapers, 12x Four Layer Mixed Inserts & Wet Bag. The colors for the package you will receive will be based on your selection of the "Gender Selection" option. Please note colors, patterns, or diapers types can change without notice as our inventory changes. 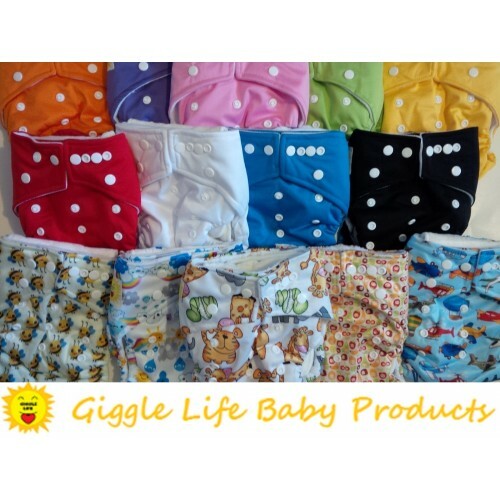 The Giggle Life Optimize Cloth Diaper is very affordable, effective, and comfortable. It is simply the best value on market. These reusable diapers are one size fits all (7-36lbs). Outer Cover: Soft and durable TPU laminated fabric. Thermoplastic polyurethane (TPU) is a composition specifically adapted to produce non-porous membranes which creates a waterproof seal but is still water vapor transmissible. High performance, durable, water-resistant, cut and tear resistant and soft. Inner Layer: Improved Micro Fleece. Moisture will be absorbed very quickly by the inserts, keep your baby's bottom dry and comfortable. The pocket opening is large enough for easy stuffing. Once the diaper is stuffed with the inserts, it is just like an (AIO) ALL IN ONE Diaper. It is easy to wash and quick to dry because the insert and the diaper are washed separately. 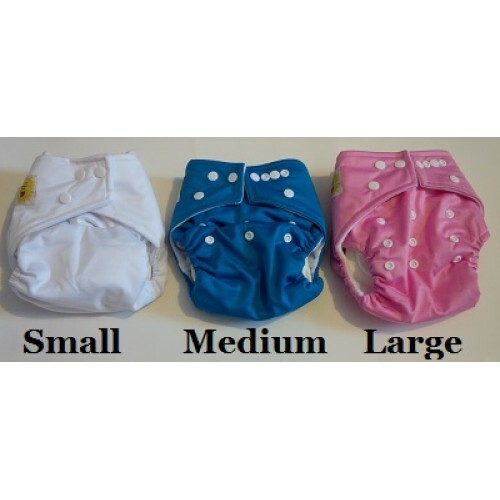 The cover itself can also be used as a diaper cover over your favorite prefold or fitted diapers. 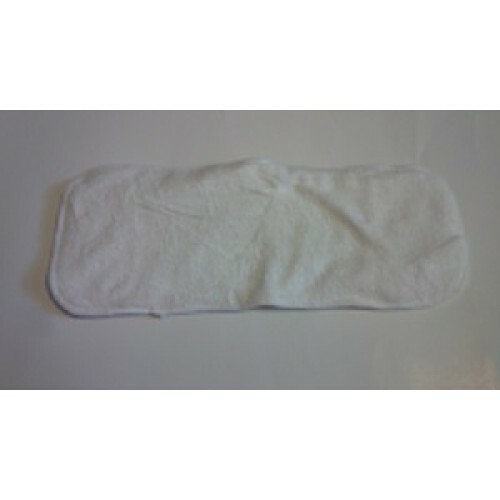 Inserts: Inserts/Liners or sometimes called Soaker Pads are made from 100% unbleached Microfiber and bamboo. 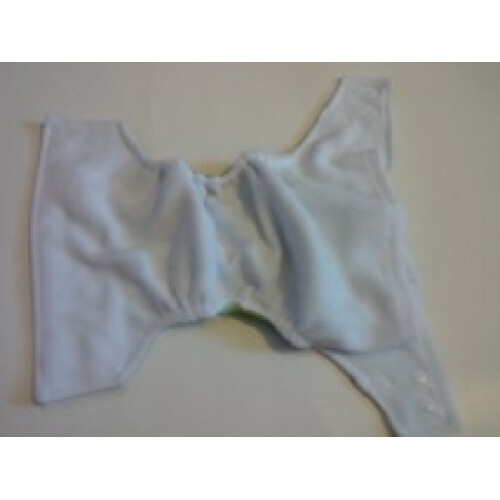 It is 2 layers of bamboo fiber and 2 layer of microfiber bring together the best of both worlds from our cloth diapers. It is less bulk while still providing excellent absorbency. Flexible elasticized waist and stretchy legs keep messes inside the diaper. The intelligent snap buttons allows this diaper to have three different rise options and multiple tummy settings for a custom fit from birth to potty training. 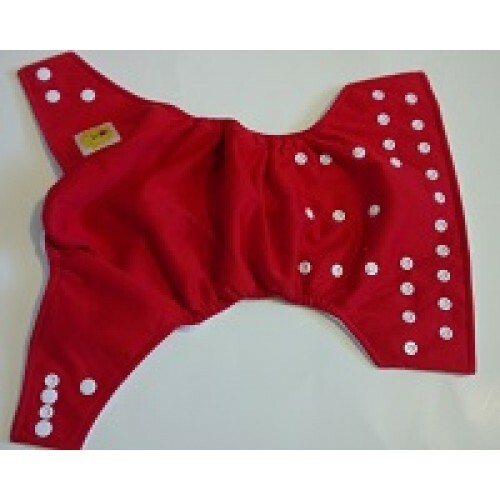 There are 3x3 rows of snap buttons on the outer layer that will transform the diaper from small to medium and to large. Small - snap the top row of buttons into the lowest row of buttons. Medium - snap the top row of buttons into the middle row of buttons. Large - leave buttons un-snapped. Plus, the new easy and flexible multiple snap buttons for tummy settings. Please note there is a $1.00 surcharge per Optimize pattern design diapers selected. For heavy wetters or extended night use we recommend you take advantage of discount of ordering a second insert for each diaper.